combination of old and new AGBU members. This team started to play at NSBA (Northern Suburbs Basketball Association) and during the first season it started to take off. Over time and with more and more members beginning to join also with some of the previous men’s team members showing interest in starting up another team; it was time for an informal committee to come together and facilitate this request from the community. After running for a few more seasons with a Women’s team and Men’s team, it was time for a junior’s squad to form. 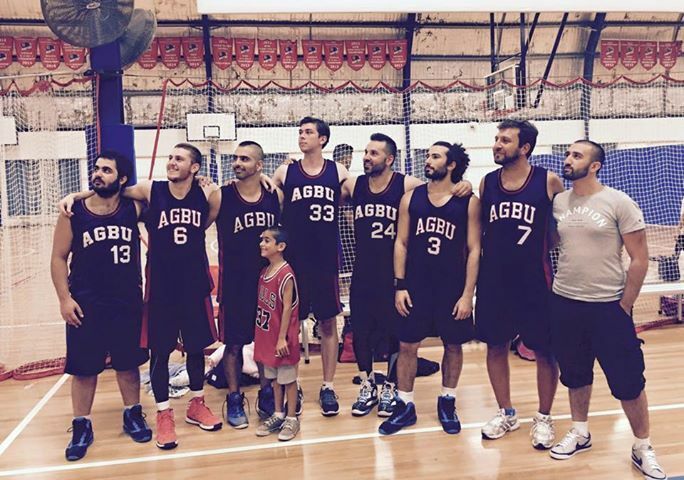 A member from the AGBU community begun training up to 15 kids every Friday night. Soon after, this junior’s squad was placed in the Ryde Bulls competition where they have been playing for 3 years running now winning to championships. As time went on a second women’s team was formed at the end of 2013 and again a second men’s team very recently in March 2015. 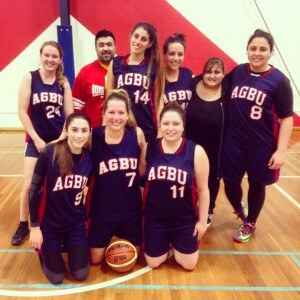 Growing from one team to five team has not come without its challenges and difficulties but the committee has worked hard to nurture and grow the AGBU community. Finally in August of 2014 and AGBU Youth Sydney was officially launched to the public and a formal committee was appointed to oversee everything the Youth are undertaking. Recently a second men’s team was also formed and are playing at NSBA. We currently have 6 basketball teams who regularly train and play all year round in various competitions at NSBA (Northern Suburbs Basketball Association). All the AGBU teams made the top 4 on the competition ladder and made it into semi-finals which was a very big accomplishment for AGBU. There are 2 junior squads (u10’s and u16’s), 2 senior women’s squads and 2 senior men’s squads. We are always looking to make new teams and grow as a sporting community and always looking for new teams, players, coaches and managers for basketball. Our sporting category is currently monopolised by basketball. We are always looking for new sporting ventures we can undertake. The committee is currently working towards adding 2 futsul into the next competition that will start in March, and then eventually soccer to our sporting repertoire. We are always open to suggestions and will always strive to our best to meet the needs of our communities requests. If you’re interested in getting involved or if you’d like to find out more, send us an email (agbuyouth@gmail.com) or a private message on facebook (facebook.com/agbuyouth).